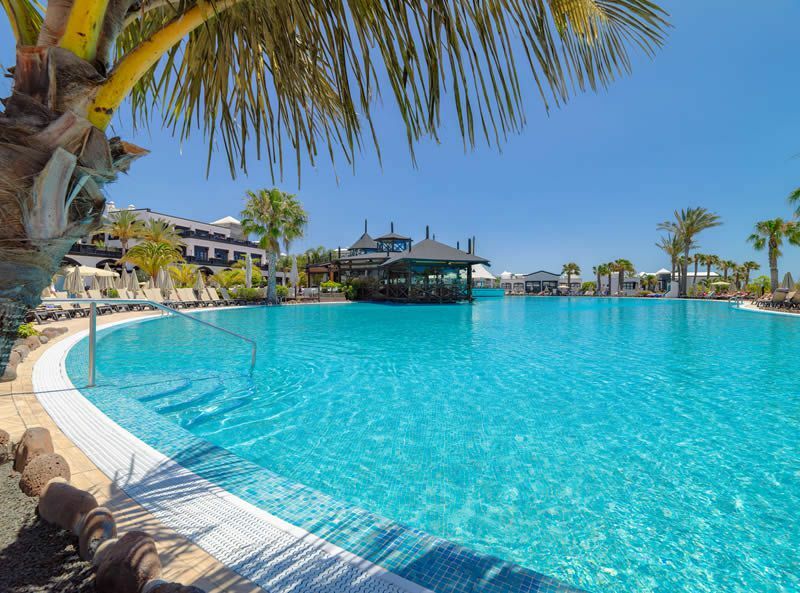 A stylish 4-star hotel set in an iconic seafront location in the beautiful fishing village of Playa Blanca, Lanzarote the H10 Rubicon Palace is one of the best destinations on the island, boating incredible coastal panoramas and a location that is close to the beach as well as local restaurants, bars and nightlife. 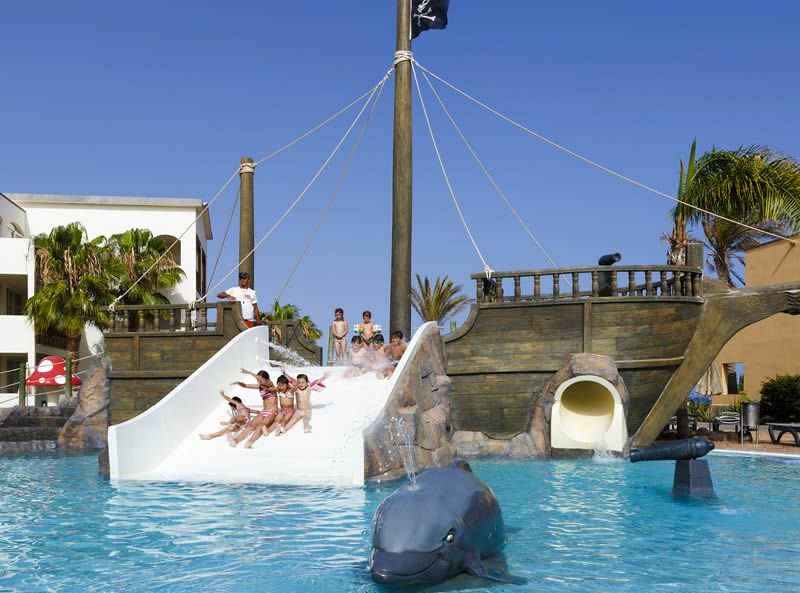 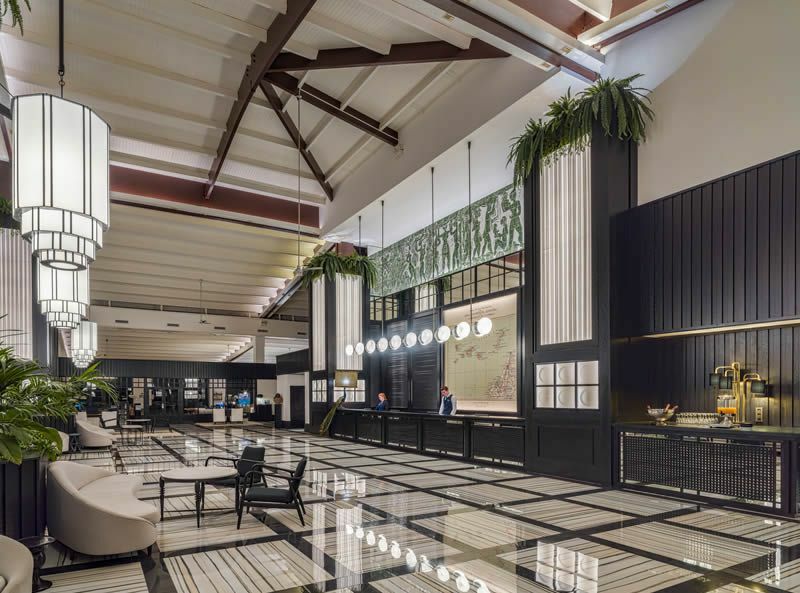 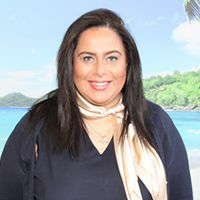 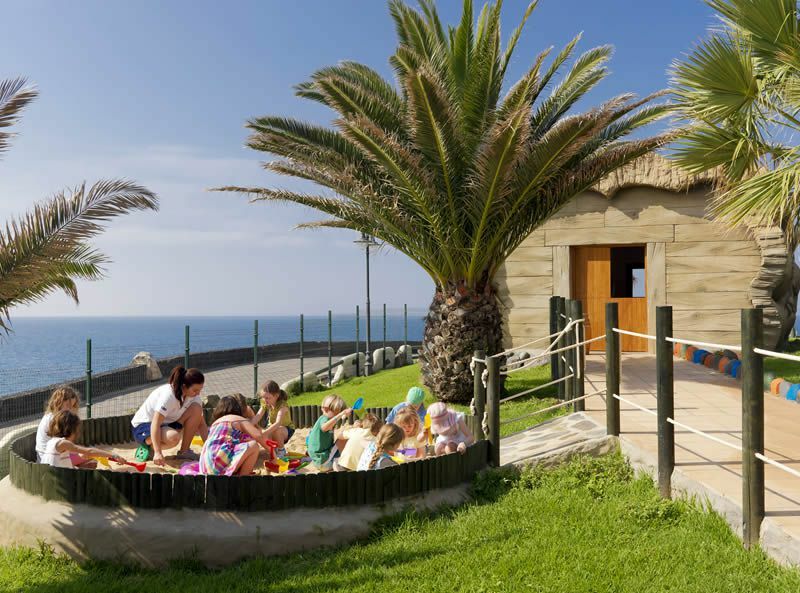 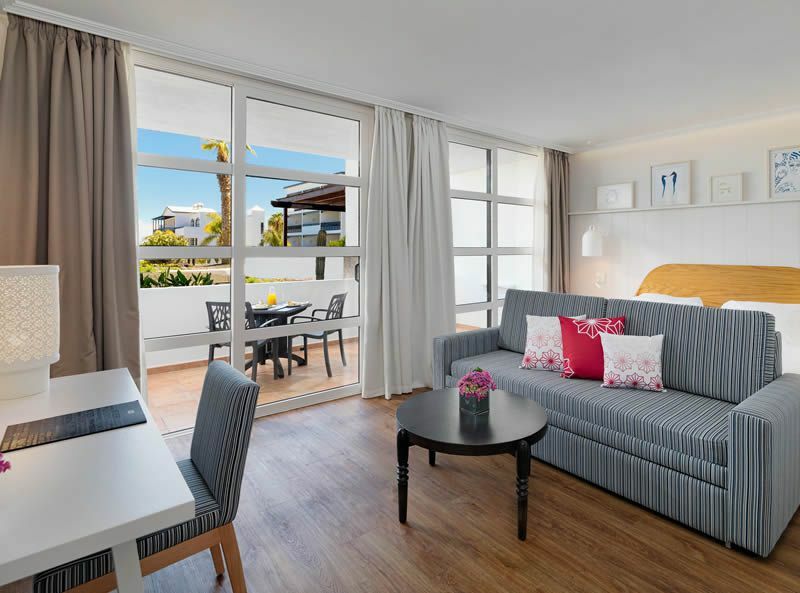 Additionally, the property, its rooms and all its amenities have been designed to suit travellers of all ages – so there’s something for everyone. 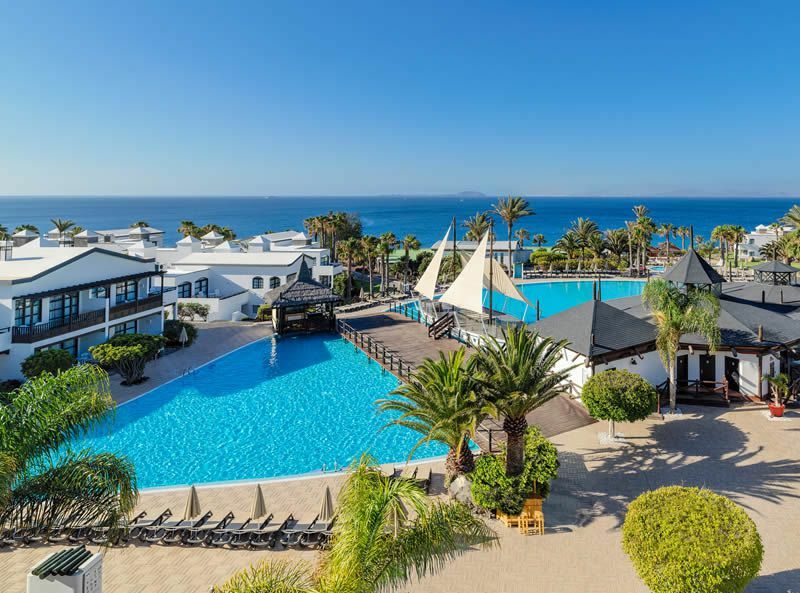 With an emblematic setting and a wonderful ‘Chill-Out Terrace’ overlooking the glittering Atlantic Ocean, H10 Rubicon Palace is the ultimate island retreat for relaxation. 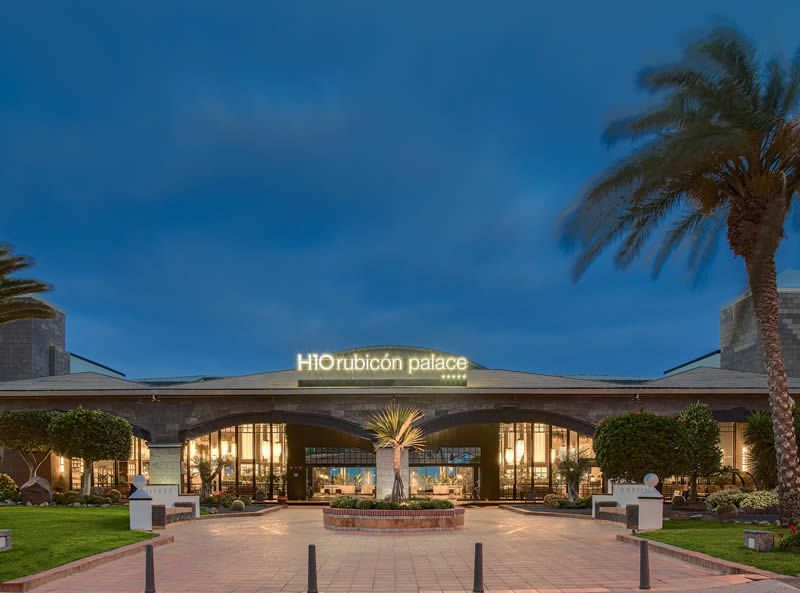 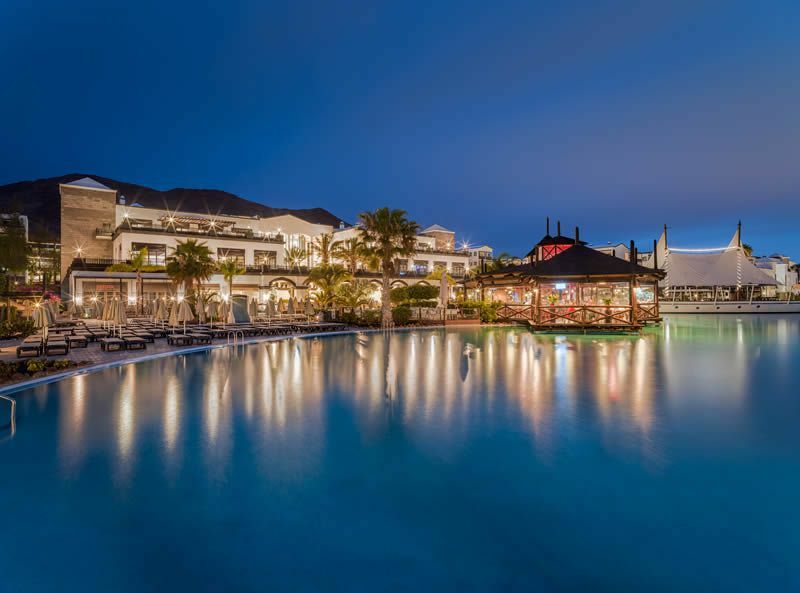 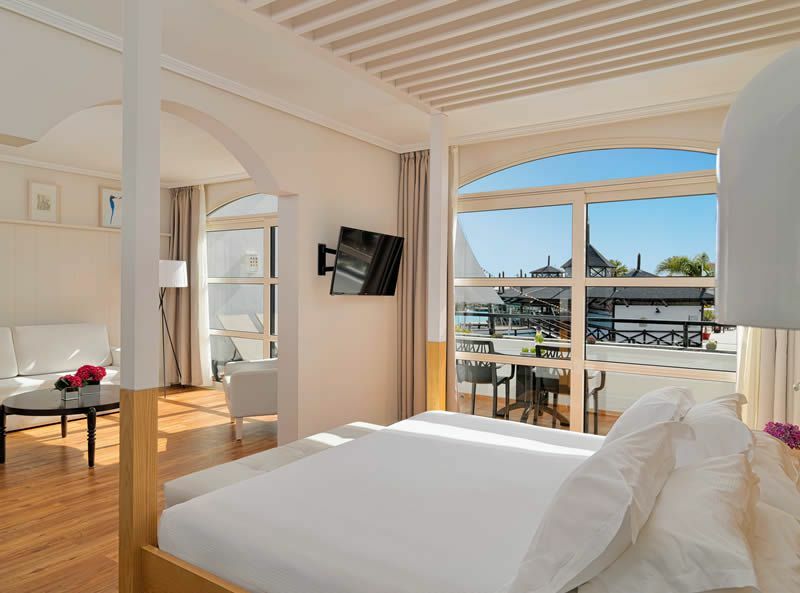 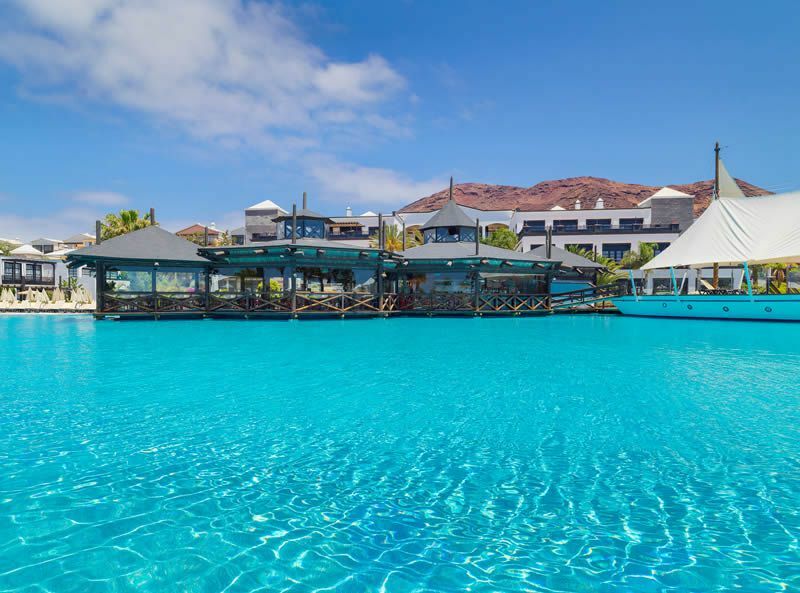 Owned by the wider H10 hotel group, Rubicon Palace is dedicated to delivering the best possible service to its guests, giving you an unforgettable travel experience here in the beautiful island of Lanzarote. 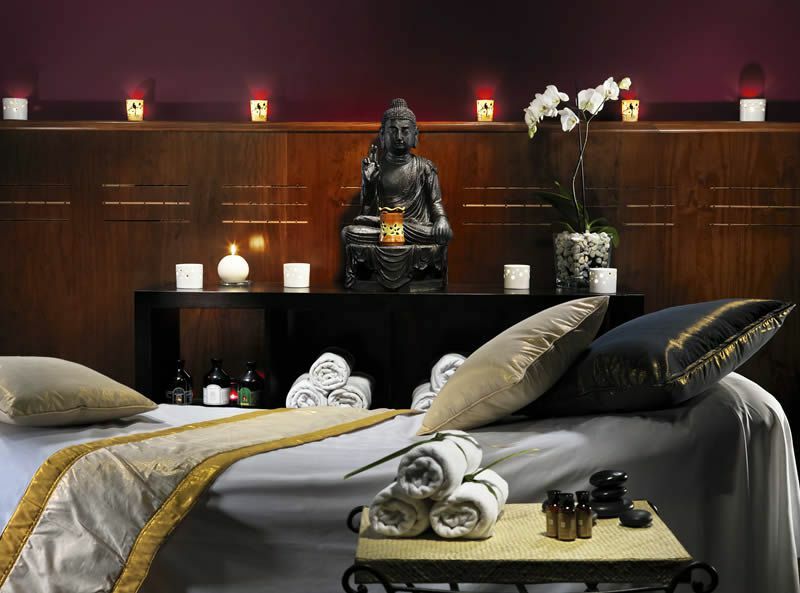 The hotel also provides several amenities to make your stay as comfortable and convenient as possible. 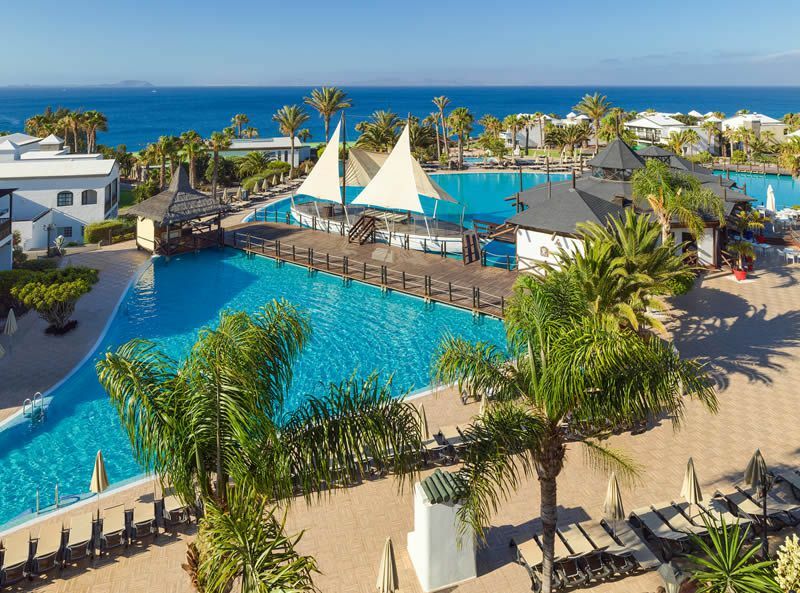 On-site you will find everything from outstanding food and drink to family friendly areas and superb spa / fitness facilities. 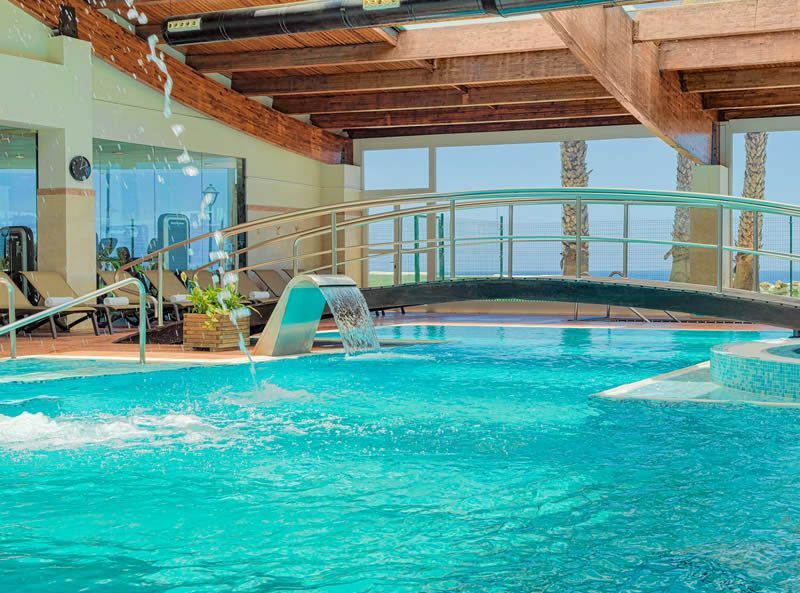 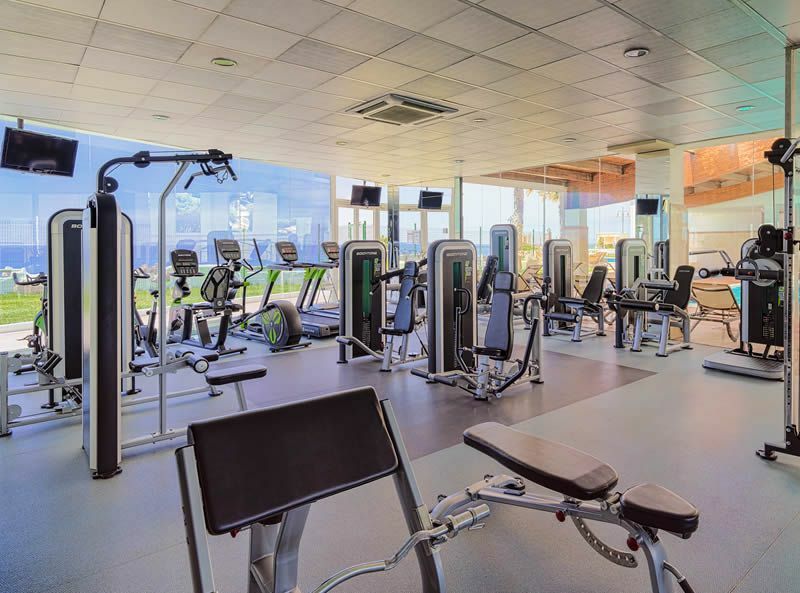 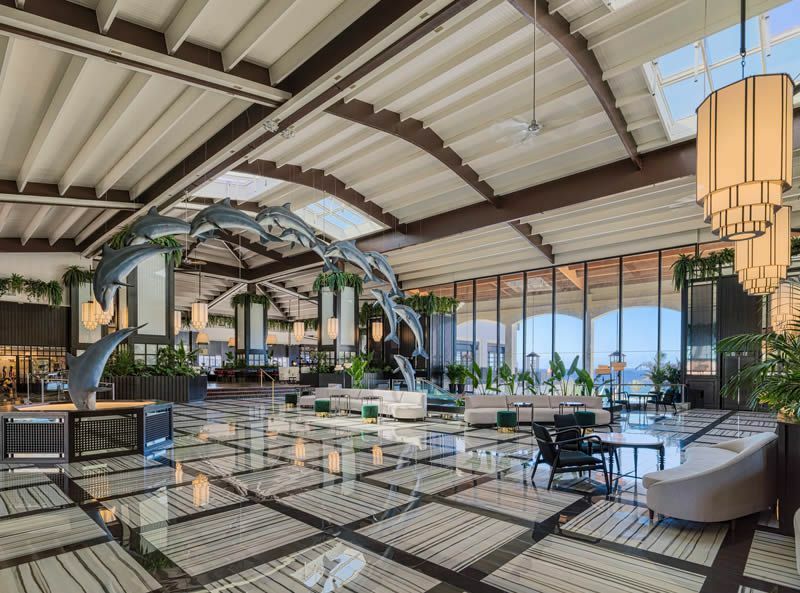 H10 Rubicon Palace features a large salt water swimming pool and sun terrace, a water slide, the luxury Despacio Thalasso spa centre with personalised treatments and massage therapy, a Turkish bath, sauna room, Jacuzzi, fitness centre and a landscaped garden. 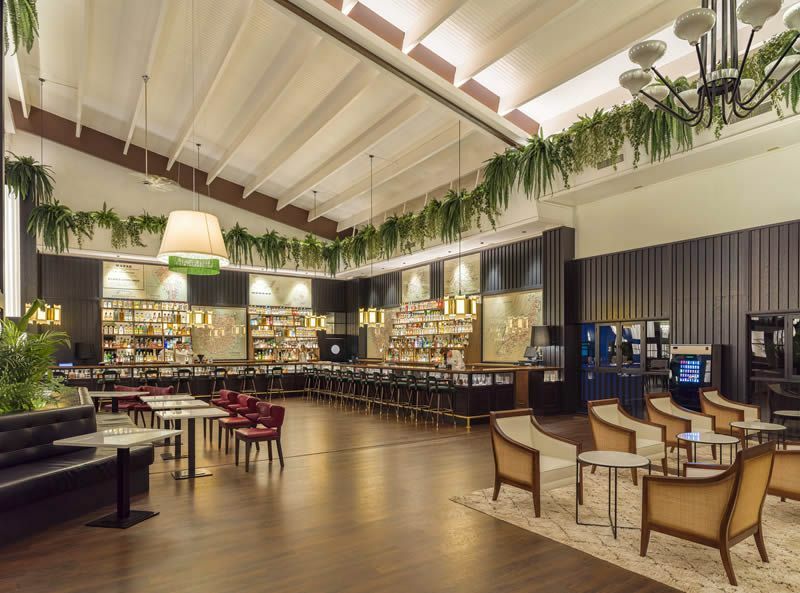 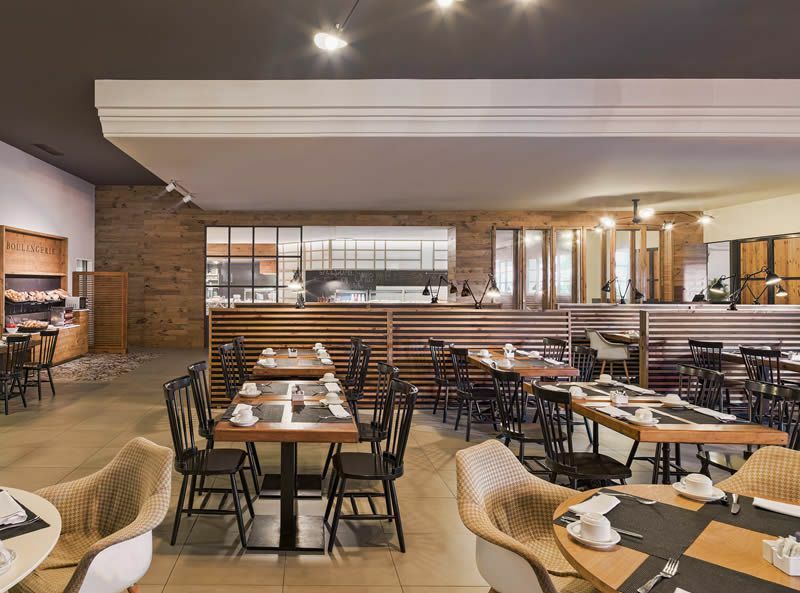 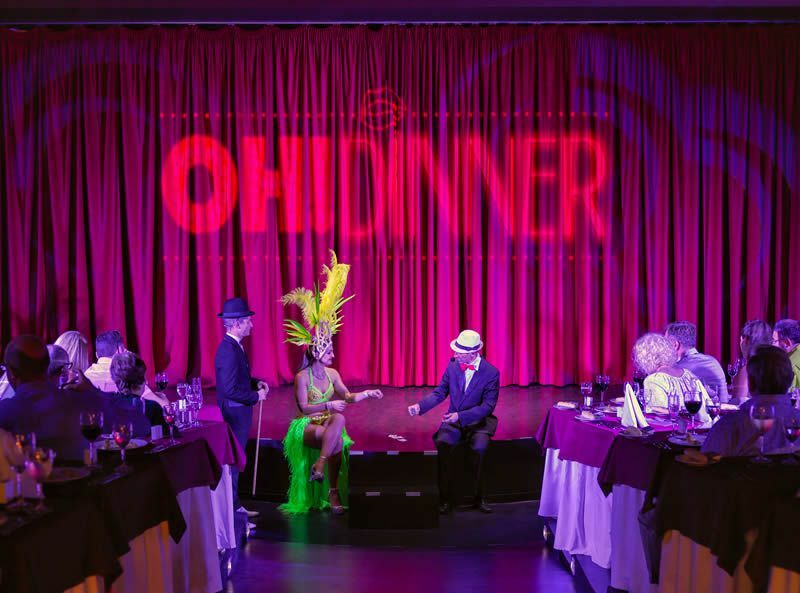 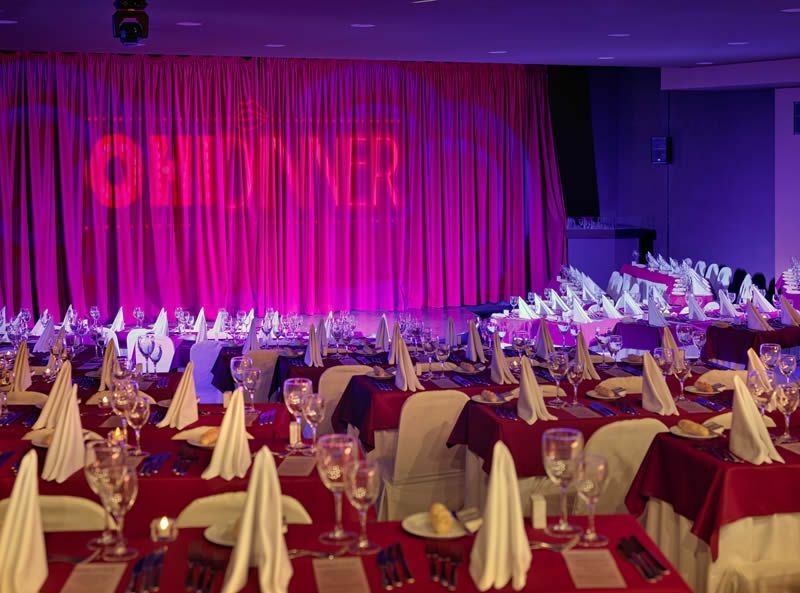 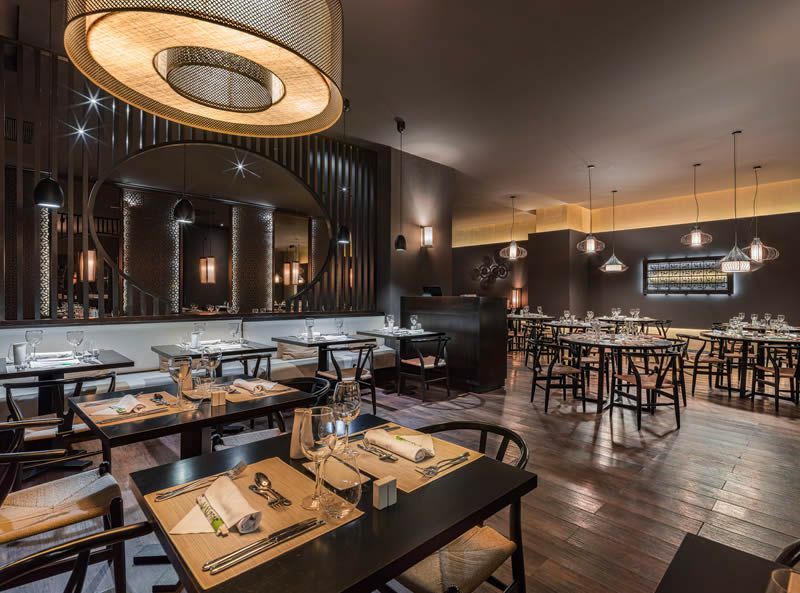 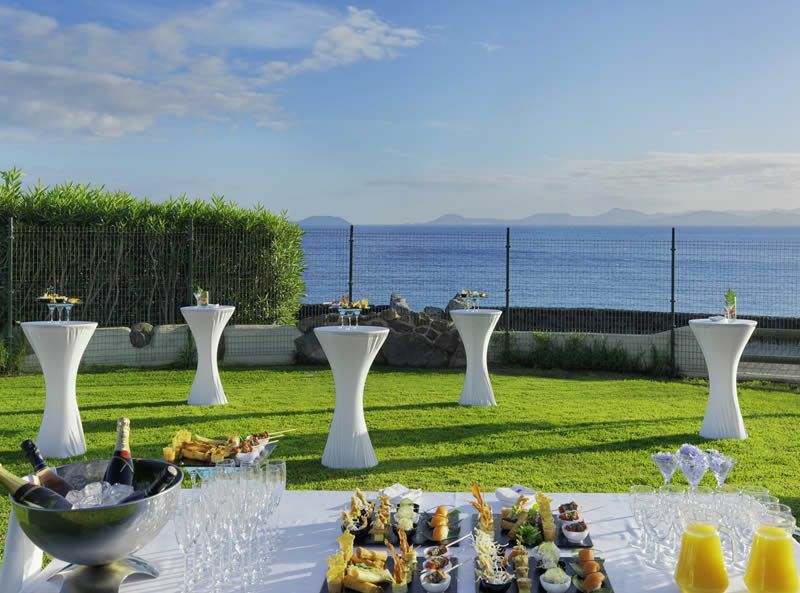 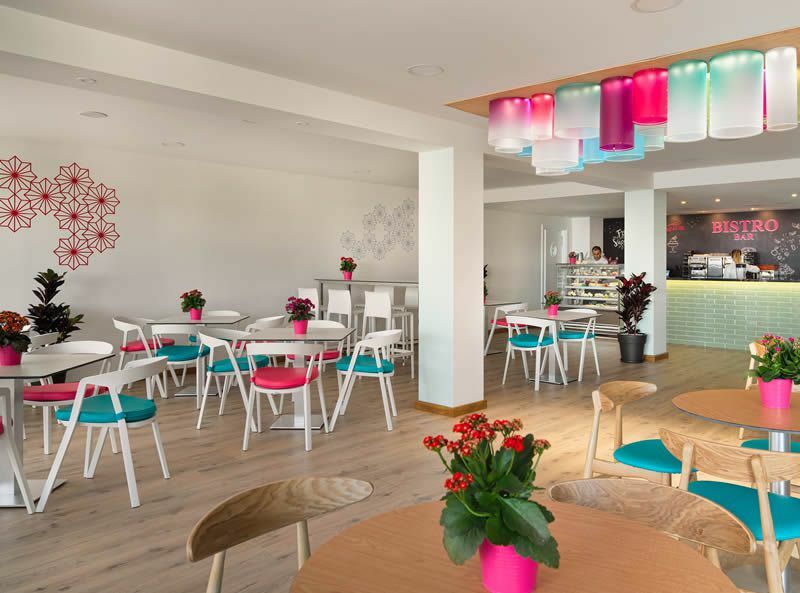 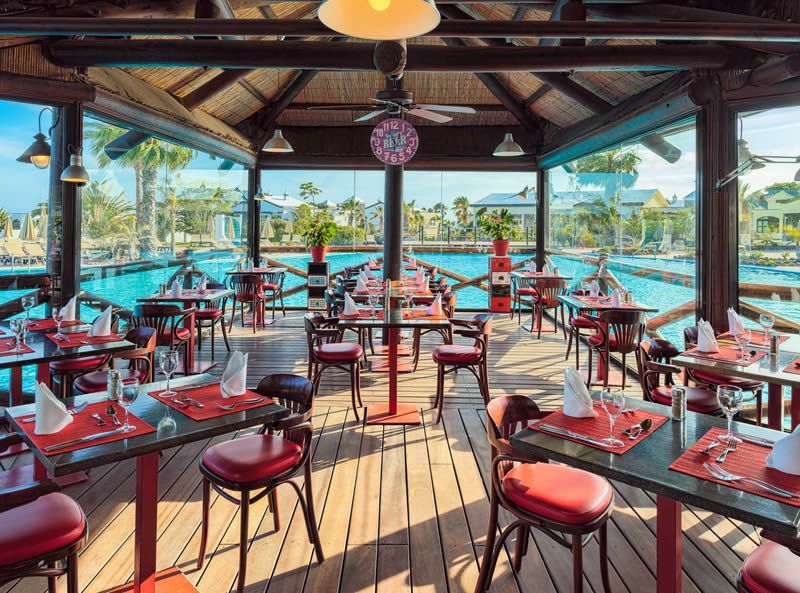 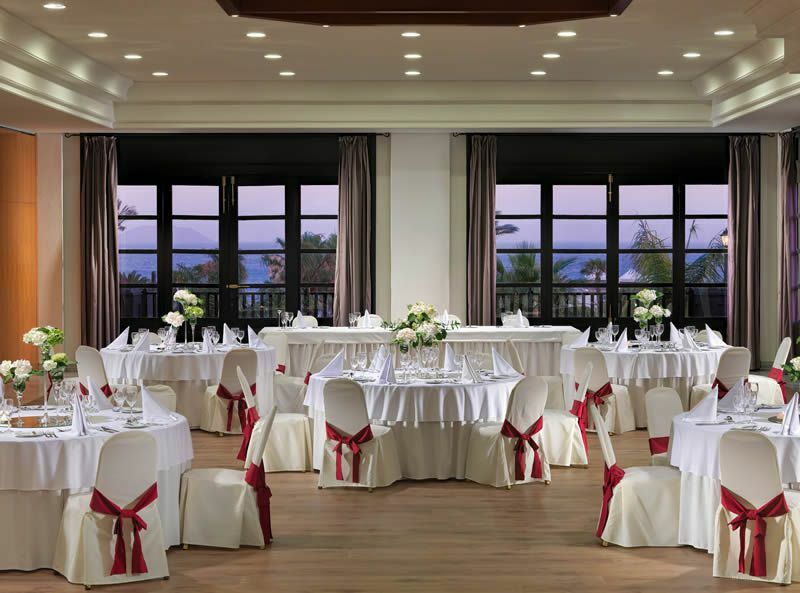 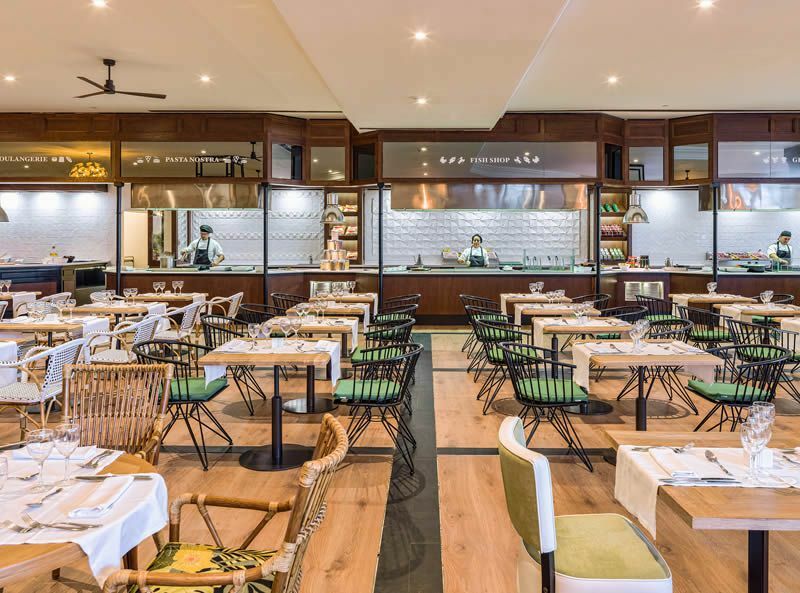 For food and drink, the hotel offers a choice of 9 different bars and restaurants, with dishes ranging from authentic Canarian, show-cooking and buffet dining to a la carte and Asian cookery. 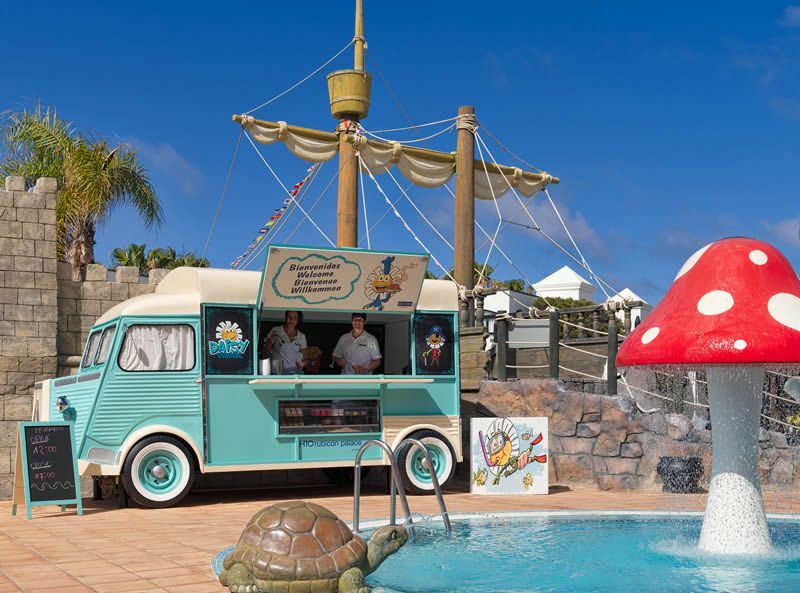 Kids will be able to enjoy the Daisy Adventure play are and there’s also an on-site children’s club providing entertainment and activities all day. 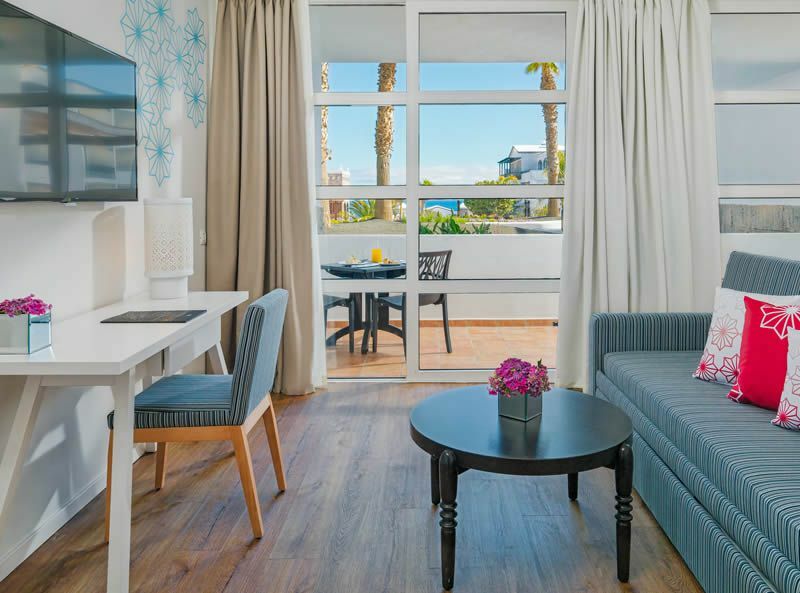 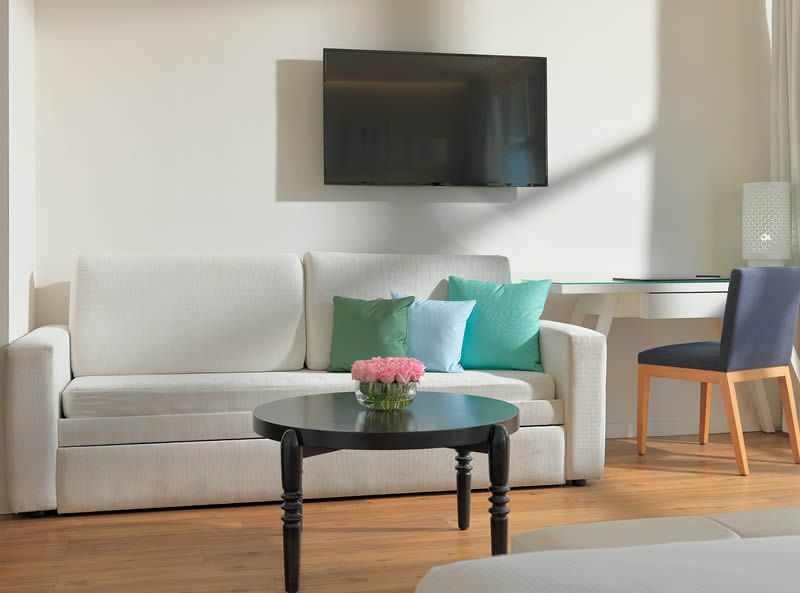 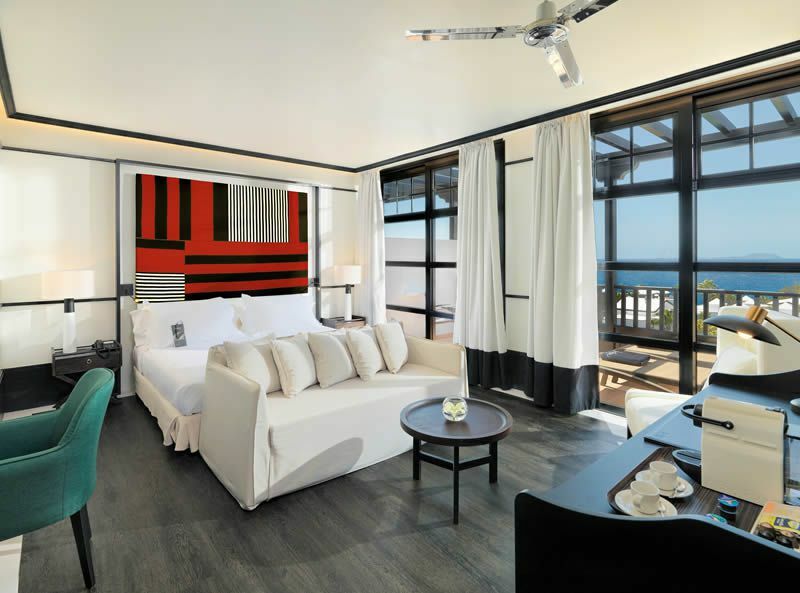 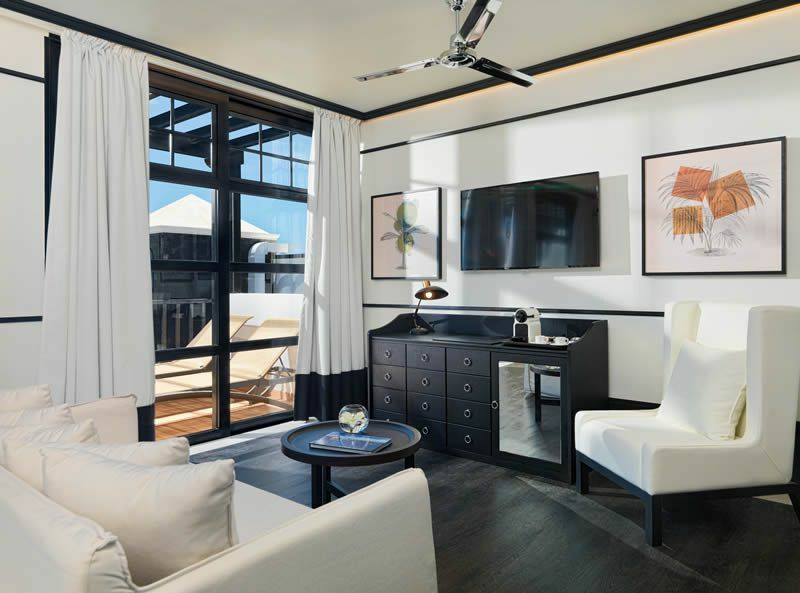 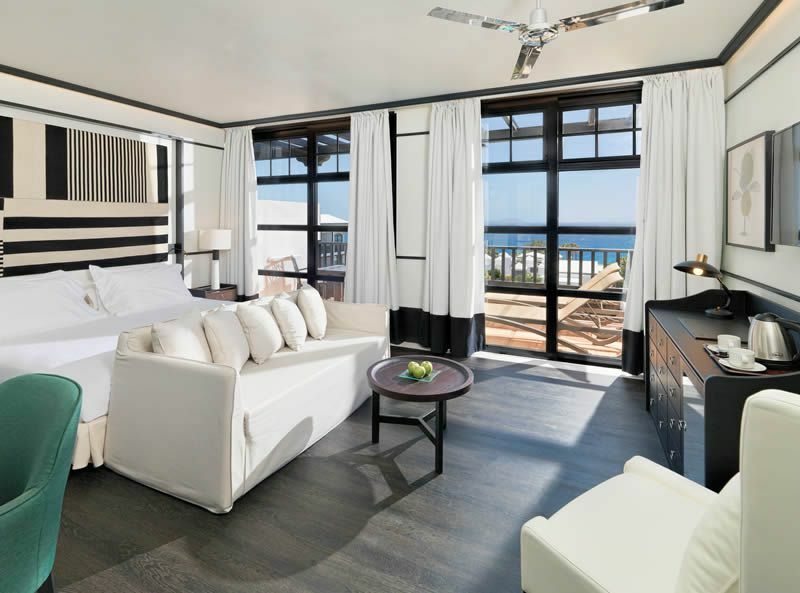 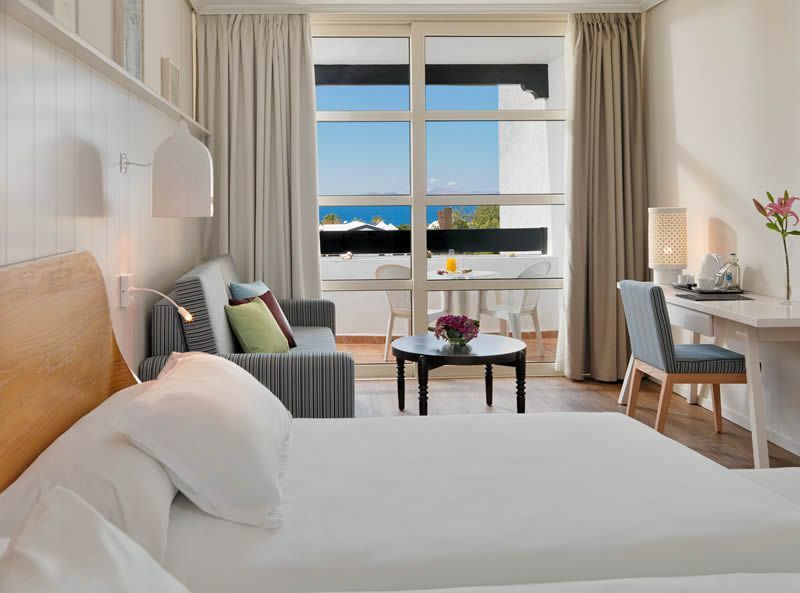 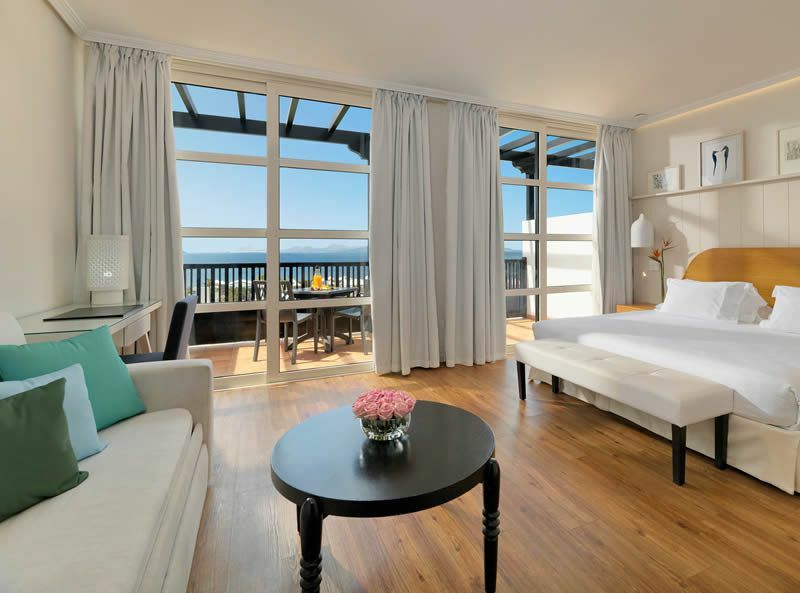 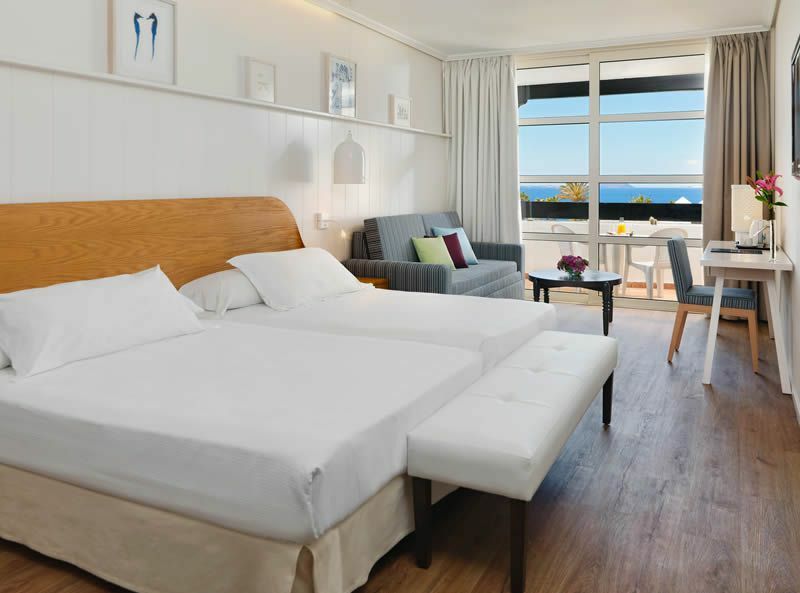 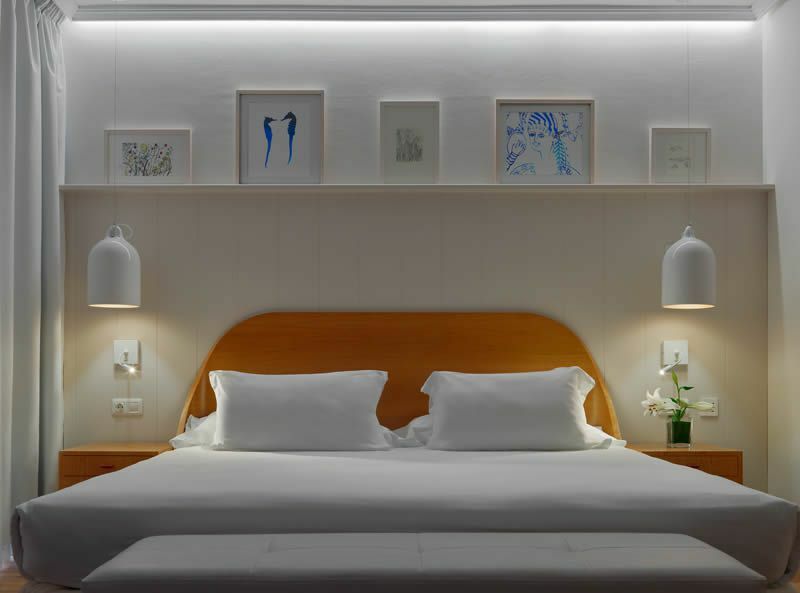 All rooms at H10 Rubicon Palace have been finished with the signature H10 style; a classic and simple interior design concept featuring modern furniture with bright, airy colours. 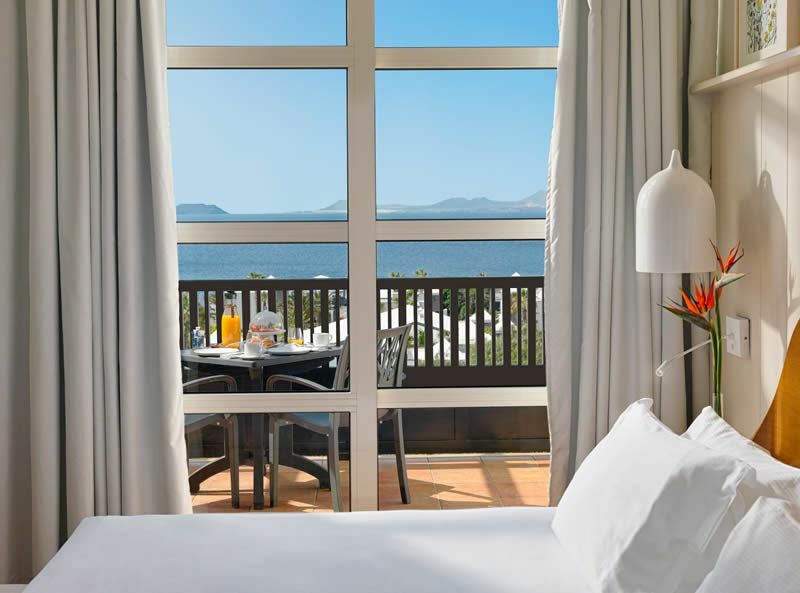 Rooms either feature garden views, pool views or sea views, and all come with air conditioning for your personal comfort. 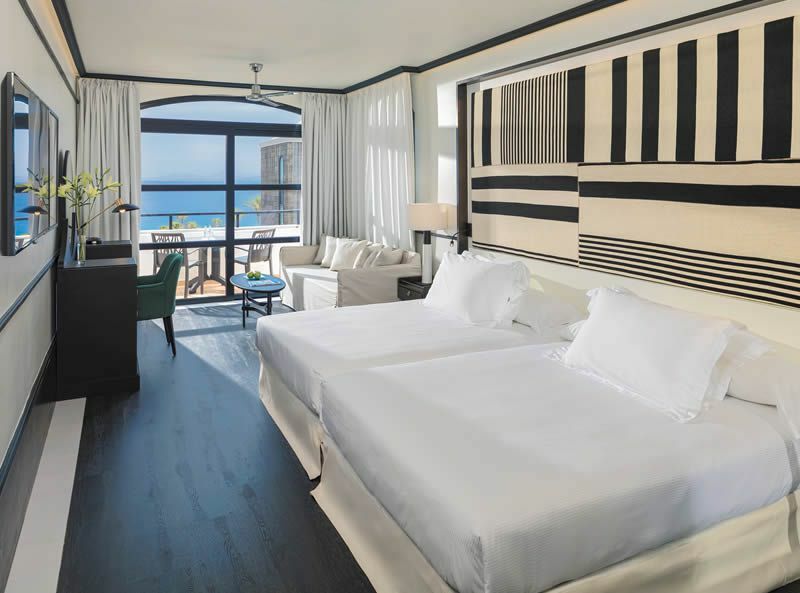 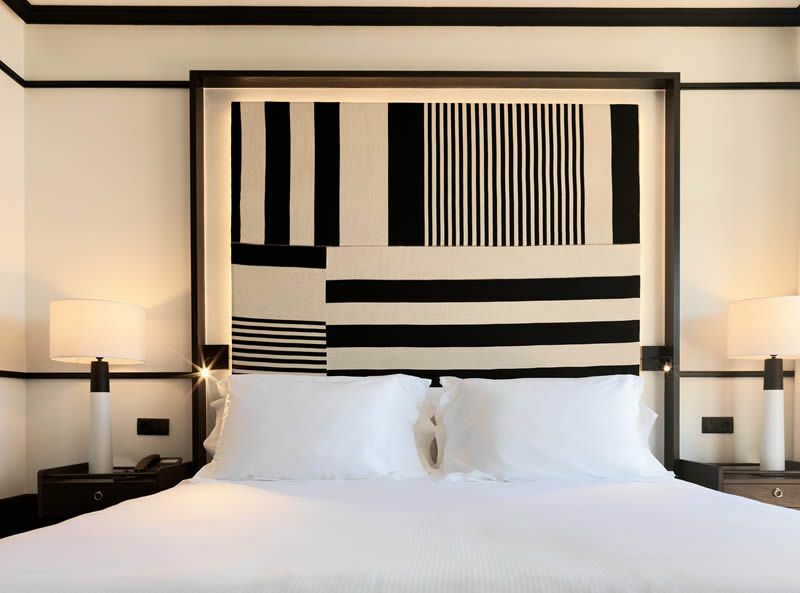 All rooms at H10 Rubicon Palace include as standard: Queen or king bed, Air conditioning, Bathroom with bath tub, Flat screen TV, FREE in-room WiFi, Hair dryer, Mini bar and Kettle.